In any language, there are some YouTube channels that people may find lovable. 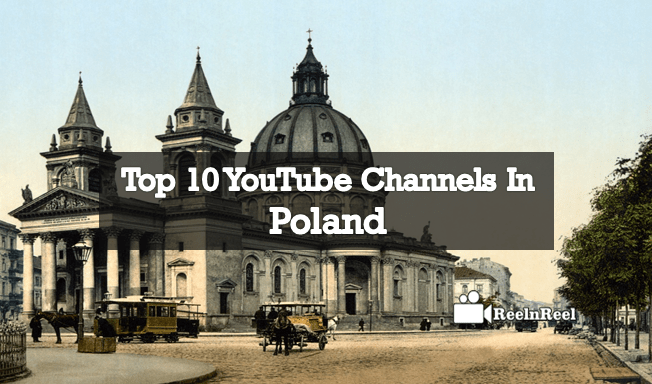 Let us now check out the top YouTube channels in Poland. Tvnpl is another channel and joined in 2008. It took the channel nine years to get 5,61,375 subscribers and 710,302,682 views. Urban Rec TV is for music lovers and the total number of subscribers is 1.247,914 and a total number of views is 661,027,898. The channel joined in the year 2012. Re Zigiusz channel joined in 2012 and it now reached the 2,802,429 subscribers. A number of views are 601,666,988. SA Wardega is another popular YouTube Poland channel with 3,501,895 subscribers and 677,269,272 viewers. Blowek Poland YouTube channel joined in 2011 and presently it has 3,086,116 subscribers and 538,463,262 views. Step Records is a music channel where the viewers can find new music trends, new albums etc. A number of subscribers are 2,181,546 and number of views is 2.039,911. My Music Group YouTube channel uploads latest music videos of their artists. Launched in 2006, it presently has 309,028 subscribers and 506,598,261 views. Max Flo Rec TV is another top channel in Poland which was joined in 2008 and has 541,827 subscribers and 502,513,890 views. Stuu Games, as the name suggests is a gaming channel with 2,668,434 subscribers and 532,763,746 views. The above are the music, gaming, comedy or trailers channels that people in Poland are watching right now.